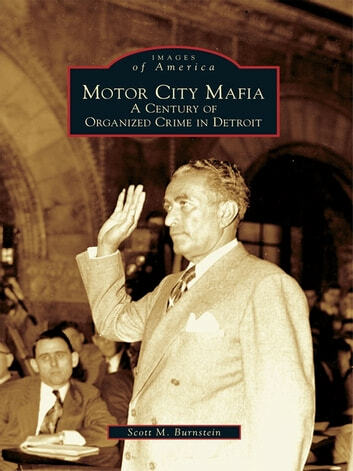 Motor City Mafia: A Century of Organized Crime in Detroit chronicles the storied and hallowed gangland history of the notorious Detroit underworld. Scott M. Burnstein takes the reader inside the belly of the beast, tracking the bloodshed, exploits, and leadership of the southeast Michigan crime syndicate as never before seen in print. Through a stunning array of rare archival photographs and images, Motor City Mafia captures Detroit's most infamous past, from its inception in the early part of the 20th century, through the years when the iconic Purple Gang ruled the city's streets during Prohibition, through the 1930s and the formation of the local Italian mafia, and the Detroit crime family's glory days in the 1950s, 1960s, and 1970s, all the way to the downfall of the area's mob reign in the 1980s and 1990s.